As the name implies, motor vehicle accidents involve personal injuries sustained by drivers, passengers, pedestrians or bicyclists. As trusted Chicago accident attorneys, Rosenfeld Injury Lawyers LLC has experience representing clients throughout the city, suburbs and throughout the State of Illinois in motor vehicle collisions. According to the National Highway Traffic Safety Administration, motor vehicle accidents are one of the leading causes of accidental death and serious injury in the U.S. In 2011, there were 32,367 fatalities in motor vehicle accidents and 2.22 million people injured. These statistics take into consideration all types of motor vehicle accidents, from car and passenger vehicles to large commercial trucks and pedestrians. These accidents can lead to lifetime costs of billions of dollars for the victims. According to the Center for Disease Control, the estimated lifetime costs for the injuries and deaths from one year of motor vehicle accidents in the U.S. can be more than $70 billion. Depending on the type of accident and the insurance companies involved, there may be one or more entities that can be held responsible in an MVA case. To ensure that the victim is fairly compensated for their injuries, legal representation is often needed to explore all the options. Insurance companies will usually only pay the bare minimum they think they can get away with, taking advantage of victims lack of knowledge of their legal rights. The insurer hopes by offering a settlement; the victim will take the money instead of seeking legal advice that could lead to much higher settlement terms or trial. When facing months and years of medical bills and wage loss due to an MVA, those who have been victims of a motor vehicle injury crash need an experienced attorney to negotiate on their behalf. Various laws may pertain to a case, including both state and federal regulations. Legal counsel that is well versed in these laws is essential to establishing a strong compensation case. Hiring an attorney who will investigate the accident and determine who can be held responsible can make a significant difference in the financial compensation a victim may receive. Rosenfeld Injury Lawyers LLC are experts in both Illinois and Federal laws and regulations that pertain to motor vehicle accidents. We have experienced Chicago accident lawyers and legal staff that can advise our clients on the best strategy for their particular crash and situation. We offer a free, no-obligation consultation to discuss your case and what the next steps will be to move towards securing compensation for your injuries. 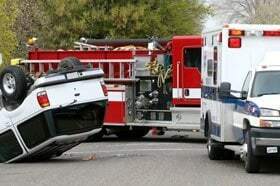 While there may be some similarities between injuries sustained in different vehicles accidents, each case involves a particular situation that needs to be evaluated differently, as various laws will apply to each crash. Rosenfeld Injury Lawyers LLC handles all types of personal injury and wrongful death cases involving different kinds of motor vehicles. Particularly in Illinois motor vehicle cases involving severe injuries, Rosenfeld Injury Lawyers LLC can help advise individuals and families of the best possible outcomes for them through settlement, arbitration or trial.